Ground Support Equipment (GSE) “AN” type fitting for the Apollo spacecraft. Sealed in double plastic bags. 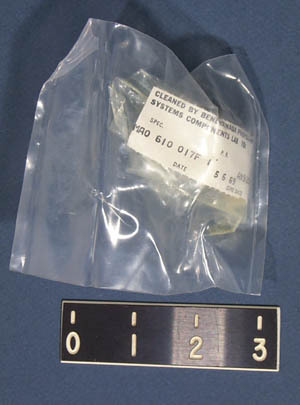 Bendix propellant systems lab cleanliness tag, cleaned to a Rockwell specification. May 2016: Please note that over the years the outer plastic bags have decayed. 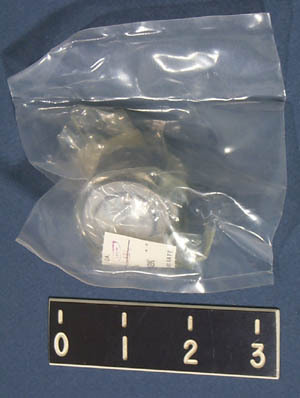 The fittings now are sealed in the inner bag with the Bendix tag included separately. This item was surplus from a NASA Apollo contractor.